PapyrusUtil SE - Modders Scripting Utility Functions This is PapyrusUtil updated for use in SKSE64; thank you exiledviper. Some mods include out-dated versions of PapyrusUtil: be sure to search your mods to check this! ALL credit goes to Kahmul, the original author of Locational Damage. This is just a patch for the original mod. Locational Damage is originally by Kahmul in ~2013, and adds much needed hitbox and locational damage functionality to Skyrim. It has a ton of features and is overall an incredible mod. There is an impressive attention to detail with respect to the effects that are triggered for each hit zone. However it has certain stability issues when faced with large numbers of NPCs. This patch is an attempt to keep the mod functional and stable during chaotic battles. In script lite play-throughs one might not notice any issues but when playing heavily modded there are scenarios where LD will slow down considerably. With this patch the Locational Damage module will be significantly less taxing on the Papyrus scripting engine.See the original Nexus page for more information. This is a patch that relies on both SKSE64 and PapyrusUtil to greatly improve the reliability and efficiency of the original mod. The most promising attempt at adding Locational Damage to Skyrim as of 2019 is Locational Damage (SKSE Plugin)﻿. However, this mod is not yet available for SSE nor does it have quite the same breadth of features as Kahmul's original mod. With time it will likely replace all other Locational Damage mods, as it hooks into events that are close to the Havok physics engine- rendering all camera-based methods obsolete. Its implementation in time will allow full and complete locational damage functionality. Until then, feel free to enjoy the original mod in SSE along with this patch as a "good enough" approximation. Camera-based locational damage mods compute hit locations based on incident camera angles. While this is highly effective for close-range procedures (such as melee combat), it is inaccurate by design at long-range. Classic locational damage mods are least accurate for Archery since bows are often fired at long range and arrows are subject to gravity. With vanilla settings for arrow speed and gravity you are more likely to notice inaccuracy with Archery. Projectile Speed Tweaks adjusts both arrow speed and gravity to be more realistic and challenging. This complements classic locational damage mods quite well, by both making the incident camera calculations more accurate and making archery more deadly in general. There are many alternatives that adjust projectile speed & gravity but the above is recommended for being a lightweight and reliable mod that adjusts exactly what is advertised. Smilodon is an incredible combat enhancement mod that tweaks damage, timed blocking, and NPC AI / combat styles. In general it will speed up the pace of combat and reward you for striking fast and tactically. You will be punished by your enemies for having poor positioning and overextending. Smilodon is a more lightweight version of Wildcat ﻿﻿that excludes an injuries system. This makes it highly compatible and desirable with locational damage mods as all such systems already include hitzone-specific effects such as knockdowns and staggers. When Smilodon is combined with Locational Damage, you will need to aim for vital areas quickly or be devastated by your enemies and you will be required to ace your timed blocking to survive relentless attacks. This pair of mods is not for the faint of heart however. Combat will become noticeably more challenging and unforgiving. 4. Install this patch. Mod organizer users should place it below the original module. Nexus users must allow this patch to overwrite all files in the original module. 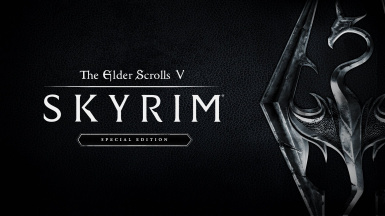 Skyrim Special Edition and SKSE were updated to version 1.5.73 this month. This mod and/or its dependencies will likely need to be updated in addition. I don't have any timeline for this yet and I'm keeping an eye on the PapyrusUtil page. If you have not already configured Steam to manually update Skyrim at the user's discretion it'd be a good time to do so.